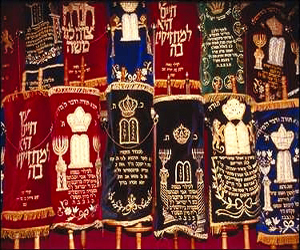 Pesach is a holiday that celebrates freedom. Want to feel truly liberated? Freed from the scrubbing and cleaning and turning over your house so it is Pesach certified? A Passover vacation rental will do just that. For Passover 2016, treat yourself like royalty. In a Passover house rental, the scrubbing has already been done and the cupboards and rooms are all cleaned of chametz. If you wish to use the dishes, Pesach meat and milk dishes, cutlery, utensils and pots and pans are provided so you can cook with ease in the state-of-the-art kosher for Pesach kitchen. If a Passover villa appeals to you, check out Villa Tiferet in the heart of the Artists’ Quarter of Tsfat. Combine a spiritually uplifting stay in Tsfat and private family time in a large, deluxe home. And during chol hamoed, enjoy the beauty of Israel’s north right at your doorstep. One April, not many years ago, a group of Christian tourists from the Netherlands were walking through the lanes of Tzfat's Old City. In addition to the regular tourist sites....the galleries, synagogues and shops, the visitors watched in amazement as the local residents scurried around, preparing for Passover. Buckets of water seemed to be washed out of every house that they passed. Entire families had set up tables and chairs outside their front doors so as to not bring breadcrumbs into their Passover-ready homes. Children raced through the streets with wagons of pots and pans to be taken to a synagogue - the utensils would be rendered kosher for Passover by immersing them in a vat of boiling water. At some point on their tour, the group's leader, a minister, stopped a local resident. "If you would be so kind" the minister asked him "we are aware that you are preparing for your Passover holiday. But we are curious about what we are seeing here today. Can you explain?" The resident proceeded to give the group a short rundown of the holiday and the preparations necessary for religious Jews to celebrate it properly. He explained how Jews clean out their entire house to make sure that no bread crumbs are left in the house. He described how Jews replace their eating utensils with Passover dishes, pots and pans which are unboxed just for this one week holiday. He told them that religious Jews scrub their kitchens, pick through corners with toothpicks, and take a blowtorch to their stovetops in order to render everything kosher for Passover. And he described how Jews completely replenish their pantries and food stocks so as to insure that no "chametz" or non-Passover food is eaten during the holiday. When the 10-minute explanation had finished, the group's members thanked the resident for helping them to understand the holiday more fully. But as the resident walked away, he was heard to mutter, "they must think that we're crazy. We are ABSOLUTELY crazy." One of the things that makes Passover so special in Tzfat is that, with very few exceptions, the entire population of the town is doing exactly the same thing. Everyone, no matter where they fall on the spectrum of religious observance, is cleaning and changing over their kitchens to a kosher-for-Passover one. While some areas of the country have strongly secular populations which are not interested in the traditions and laws of Passover, the number of such people in Tzfat can probably be counted in the double digits, if that. Aside from the certainty that most people have of being able to eat in their neighbors' houses during Passover, this almost-universal adherence to the laws of Passover in Tzfat has other benefits, which the shoppers, mainly women, can attest to. Since shopping for Passover involves buying absolutely everything for the holiday afresh, the shopping expedition for Passover is generally a 2-3 hours affair for the average household. As people wait in line with their purchases, women begin to swap recipes. Thus, one can, in a few minutes, collect a wide variety of recipes for Passover - last year, one housewife related that her shopping trip netted her recipes for Moroccan fish, Tunisian stew, Persian cookies, Polish Passover pancakes, and Russian Passover "bagels". This year, she claims, she's going to ask for invitations to all of these homes to taste the various dishes.